The Buffalo Bills’ free-agent moves have caused Mel Kiper Jr. to shift his view of their draft plans, but the ESPN draft guru still sees the Bills willing to take a risk in the first round. 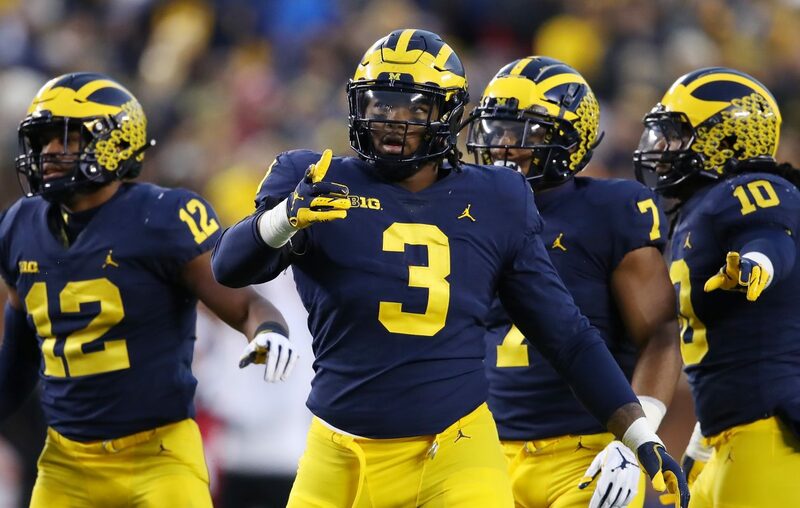 Kiper projects the Bills will take Michigan defensive end Rashan Gary with the ninth overall pick in his latest mock draft, released by ESPN Tuesday. Last month, Kiper had the Bills taking Mississippi receiver D.K. Metcalf. But the Bills have signed three veteran free agents at receiver – John Brown, Cole Beasley and receiver-returner Andre Roberts. Metcalf is considered a bit of a risk as a top-10 draft candidate because he missed most of the 2016 season and the last five games of 2018 to injuries. Gary is somewhat of a risk given his production has not matched his elite athleticism. Gary produced 10.5 sacks in 35 career games for Michigan after entering college as the nation's top-ranked high school recruit. “He’s got everything you want to be the No. 1 pick in the draft, except the sack production." Gary suffered a shoulder injury the week of Michigan’s season opener and said in November he played through it the for the first five games. He missed the next three games, then returned for four games. He had 3.5 sacks in nine games in 2018 and six sacks in 13 games in 2017. Defensive line is a logical direction for the Bills to go in the first round of the NFL Draft, to be held April 25-27. Kiper projects an edge rusher, Mississippi State’s Montez Sweat, being picked one spot ahead of Buffalo, to Detroit at No. 8. His picks directly after Buffalo are: tight end T.J. Hockenson at No. 9 to Denver, linebacker Devin Bush at No. 11 to Cincinnati, Metcalf at No. 12 to Green Bay, quarterback Drew Lock at No. 13 to Miami and defensive tackle Ed Oliver at No. 14 to Houston. Kiper said he foresees University at Buffalo receiver Anthony Johnson going in the fourth round.